I need for Galleries a frame to put on my work that does not have the chopped corner look. I wish the gold less cad yellow deep. It does work well for Giclees as the cost is excellant. I loved the frame. It exactly matched an older one which hangs beside it. Have used this frame twice or three times, very elegant. The first frame had some color discoloration and I called Customer Service. They had a replacement frame to me in 3 days. Service was excellent. 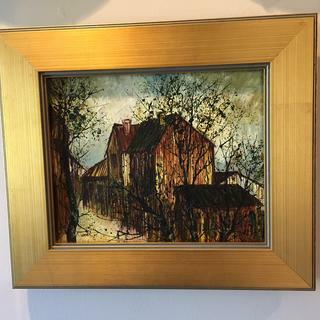 I bought this 8 x 10 oil painting in the 1970s, and it had a heavy dark brown frame. I love this painting and I wanted to update it. This frame has a clean modern look, but is still traditional. I am very pleased with this update! I have purchased many frames here and all but two have been exactly what I wanted. This gold frame is one of the two. It looks like something I found at a second-hand store. More accurately, it looks like something I found in a dumpster behind a second-hand store. I thought cleaning it might help. It didn't really, but the white cotton pad I used was black when I finished. Hello David. Thank you for submitting your review. We regret that the finish of the frame did not meet your expectations. We are happy to offer you a full refund if you would like to return the frame. 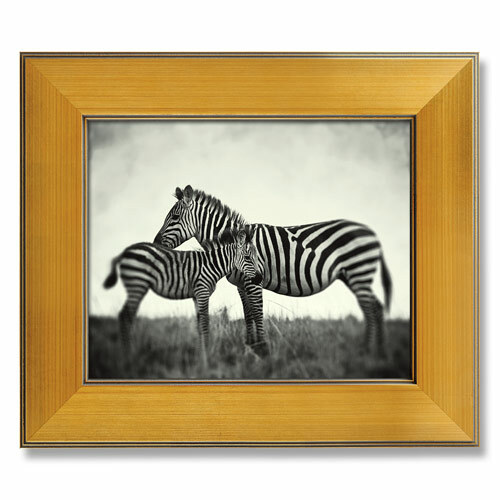 The frame you selected has a gesso finish with a Gold leafing. We apologize again if the frame is not suitable for your needs. Please give us a call if you would like to return the frame. We can be reached at 1-800-332-8884. Thank you again for your business. I have framed many of my prints with this frame. I think it has a clean modern look, yet is traditional. I like the metallic look too. This is one of my two favorite frames for displaying my paintings. This frame looks great in my home gallery, alongside a more traditional "plein air" style gold frame that is my other favorite. I am an artist, and I choose between the two frame styles based on the painting. This one works beautifully for many of them.